This might not be the spring weekend we hoped for, but despite the rain clouds, the team broke out our gardening supplies and set to work. CP#1 has become a thoughtful gardener. She admires her seeds before gently placing them in the soil. 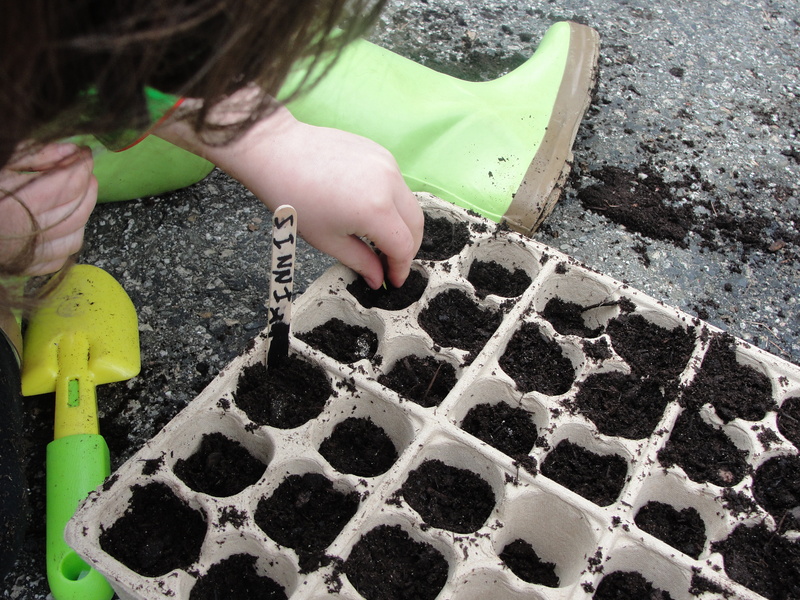 “Aren’t these snapdragon seeds so cute?” she marveled while planting. And truth be told, the snapdragon seeds were among the tiniest MP has ever seen.